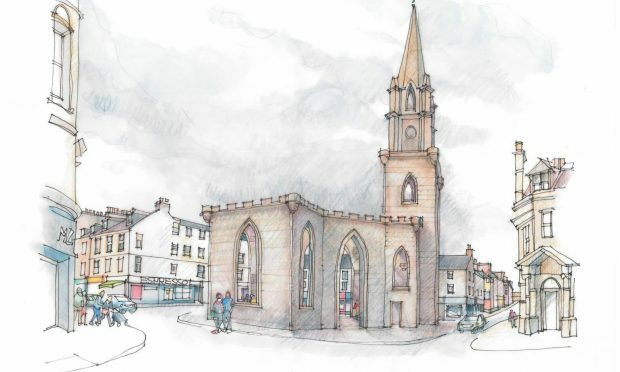 Lying in the heart of Scotland, offering great transport links and beautiful rolling countryside on its doorstep, Perth West is an exciting, sustainable investment opportunity in a growing city, offering investors the chance to get in at an early stage. The business park is part of a significant investment in West Perth with new housing, and a new secondary school already an established part of the offer. 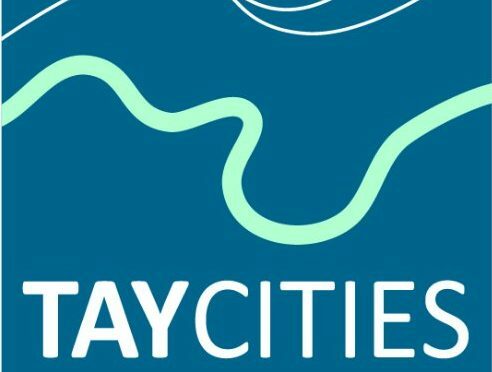 The new business park will promote sustainable growth with a focus on green innovation technologies for urban living, including a distribution centre, industrial, hotel and leisure offer, electrically enabled highways, mobility as a service, automation, and renewable district heating and power. Perth is a rapidly growing city with a population of 50,000 – projected to grow by 24% by 2037. Perth is in the centre of Scotland, less than one hour’s travel from Glasgow and Edinburgh with 90% of Scotland’s population accessible in 90 minutes. The project proposes a distribution consolidation centre and will host technologies, systems and processes to decarbonise urban growth including electrically enabled highways, mobility as a service, automation, Artificial Intelligence and renewable district power generation. There is already a strong track record of delivering commercial developments in the area including Broxden Business Park in Perth. Investment returns will be generated from infrastructure; revenue through property rental and heat/power streams; and revenue from design, build, finance and management of the academic facilities. 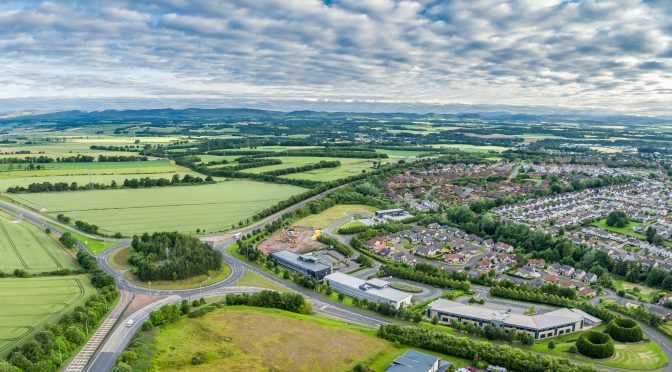 The development is supported by more than £140 million planned public investment in infrastructure and the impressive list of recent investors in Perth include Porsche, Jaguar Land Rover & Bellway plc Homes, to name but a few. The development is a 130 hectare zoned development area, with 1,600 units of mixed tenure housing, a distribution centre (30,000m2+), business park (20,000m2) for commercial office, industrial, hotel, leisure, district heat and power system; and an academic centre. It will be delivered in four phases: phases 1 and 2 – trunk road and service infrastructure to open up the site along with 800 mixed tenure houses and distribution consolidation centre; and phases 3 and 4 – 800 houses and academic centre plus 20,000m2 plus of business land. Councillor Murray Lyle, Leader of Perth & Kinross Council, said: “Perth may be Scotland’s smallest city, but we have big ambitions for Perth and the wider area. Working in partnership through the Scottish Cities Alliance helps us to promote Perth to external investors on a global scale in a way which would be more difficult, and more expensive, to do on our own. 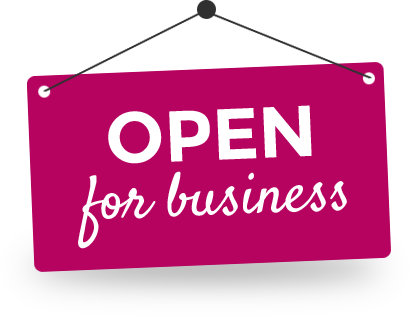 Perth West is a collaborative project between the local authority (Perth and Kinross Council), government agencies, landowner and businesses. This is a unique and strategic opportunity to bring forward a Scottish Eco Innovation Business Park. Capital expenditure is £50million, GDV of over £100 million, peak borrowing of £20 million, covering capital and revenue projects in infrastructure distribution; commercial and residential property; and district heat and power network.